Mona is journalist and trainer. She currently writes the weekly newsletter Monday Memo, a news & business digest for busy people, and trains individuals and teams on effective writing and storytelling techniques. She also works with Superscrieri, a journalism project, as a juror for their annual awards and as a trainer and mentor for young journalists. Previously, she edited two business weeklies, Business Magazin and Money Express, and led the online division of the Romanian public broadcaster. Dreams are one thing, accounting is another. The community foundations pair them up two dozen times a year – sometimes late at night, when all the work for the swimathon, half-marathons, or bikeathons is done; sometimes the day after. That’s the unglamorous, yet all-important “balance sheet moment” for the community foundations: everything they have worked for – the dreams, the causes, and the thrills that galvanized the town; the number of participants; the kilometers; the swimming pool lengths and the money raised – is finally crammed in a tiny chart usually no longer than half a page. The most important figure is, of course, the total at the bottom of the page. 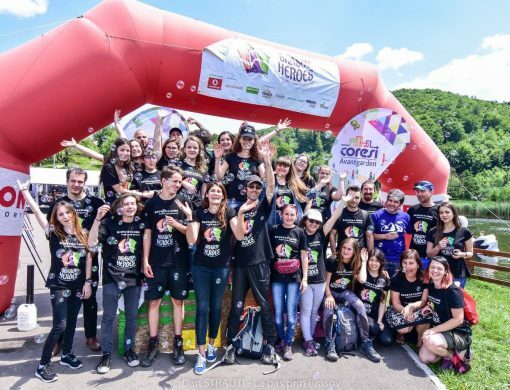 But the final amounts raised for the causes are always larger; the Romanian-American Foundation matches part of the individual donations as a way to foster community involvement. It’s also about the decimals. If you’re the nerdy type, you may wonder – once you’ve done the math – how was it that so many of the final amounts raised for the various causes include decimals. 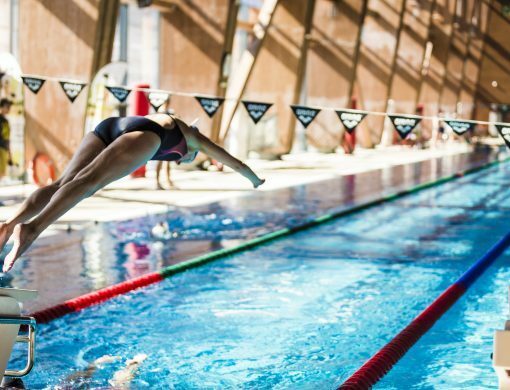 At the 2017 Bucharest Swimathon, for example, over one third of the 23 causes listed are not only about dollars, but also about cents. Who, you might ask – and why – would believe a few coins might make a difference? Many of the decimals come from exchange rates, of course – they pop up whenever someone donates from a foreign currency account, explains Alina Kasprovschi, who runs the Bucharest Community Foundation. But there are, nevertheless, people who decide to donate a handful of coins. One of them, for example, pledged at last year’s Bucharest Swimathon 23.70 lei (6.28 USD). That means a contribution of 0,005861% of the total 104,011 USD raised during the day; in case your spreadsheet rounds up the numbers to the first two decimals, you’ll miss this contribution entirely. Do decimals matter? They do, scientists argue. In fact, the whole story of the “butterfly effect”, as it is popularly known, started with a meteorologist who decided to recompute a weather prediction and introduced, instead of the six decimals he had for a variable, only the first three. What he got, in the end, was a completely different weather scenario. What we’ve gotten from his mistake is a whole new mathematical field about how small changes in the initial conditions can lead to entirely different outcomes. And, of course, we also have the romantic metaphor saying that a butterfly’s flap of a wing in Brazil may cause, weeks later and thousands of miles away, in Texas, nothing less than a tornado (it’s a little more complicated than this, of course). Those 23.70 lei – the equivalent of a medium priced pizza in Romania’s capital city – may also lead to different outcomes, in ways we will probably never know. 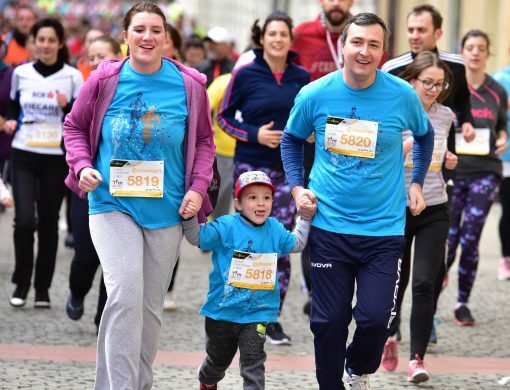 What we do know, though, is that the money was pledged by a 5-years old boy, Ștefan, who “donated all his piggy bank”, says Maria Orzu, his mother, to help cover the kindergarten expenses for 15 kids from disadvantaged families. Ștefan is still in preschool, so he doesn’t understand precisely what his 23.70 lei can buy; and it’s irrelevant, anyway. What matters is that he donated all his savings for kids who are not as fortunate as he – and that he understood the mechanism: some of us need a little help, some of us swim to raise awareness and money for a cause, and some of us donate all our piggy bank savings. It’s that simple. The mechanism that set in motion a whole new movement in Romania started to roll in the summer 2009, at the height of the financial crisis, in Cluj Napoca. 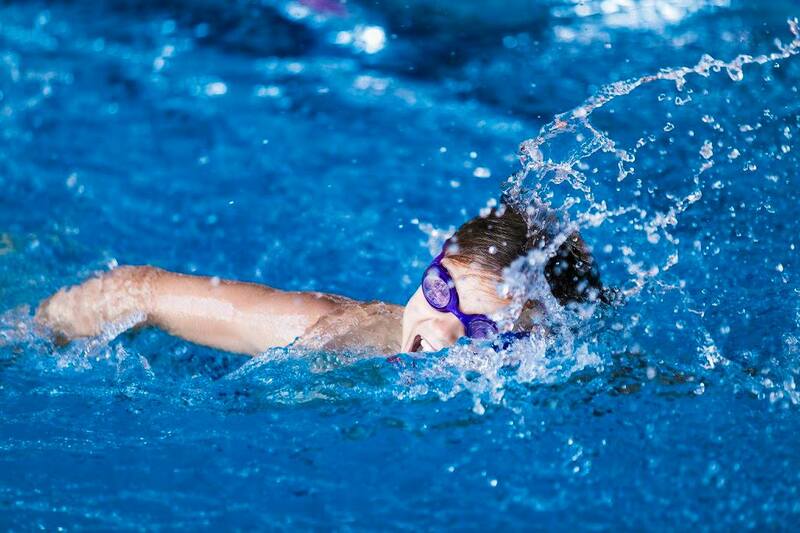 Nobody knew back then what a Swimathon was – and nobody bothered to search for the correct pronunciation, so we all settled for the Romanian version of [swɪm-a-ton]. 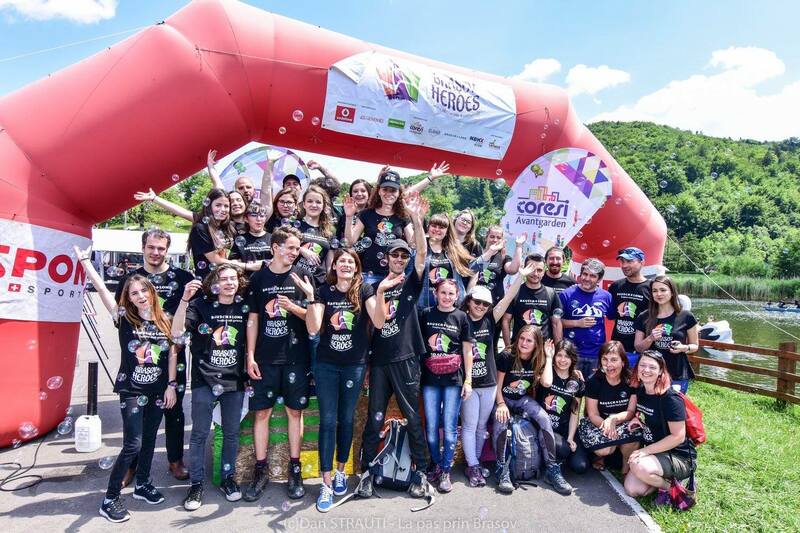 The accounting job of this first Romanian Swimathon delivered a chart showing three financed projects – all for kids with visual, hearing and other disabilities – and a total of 28,200 lei raised (9,248.02 USD). 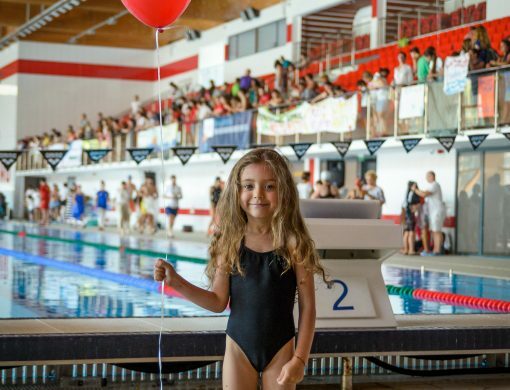 One third of the money was raised by a single person, Alina Porumb – the soul of the community experiment – who swam, that July, 55 swimming pool lengths in only 90 minutes. “Even during a financial crisis”, said Alina Porumb after the event, “the people of Cluj are willing to support community projects”. The donors were mainly companies back then, but she believed there was a huge untapped potential for individual donors. She was right: the experiment in Cluj in 2009 was replicated, molded to local contexts and creatively developed by a dozen community foundations around the country. What started nine years ago as a small event in a Transylvanian city has grown into something of a tradition, with cohorts of amateur swimmers, runners and bikers enrolling each year to raise money for hundreds of local causes. They all tell the story of a Romania you rarely see on the evening news – a country where the very idea of community was broken down decades ago by an ideology named, ironically, communism; and a place where the expression “voluntary work” – or “patriotic work” – meant for decades, incredibly, the exact opposite: “mandatory work”. Correcting the distortions takes years, even decades, and we’re not even near our ever changing finishing line. Yet every swimmer, runner or biker who has ever crossed an actual finish line is a wing that one day flapped for a community who learns how to heal itself (balance sheets are great, but they can’t convey all the outputs of this new kind of community building). First of all, sport events are like fluids. They take the shape, the size and the mood of their host communities – and they tend to become the events, especially in smaller cities. 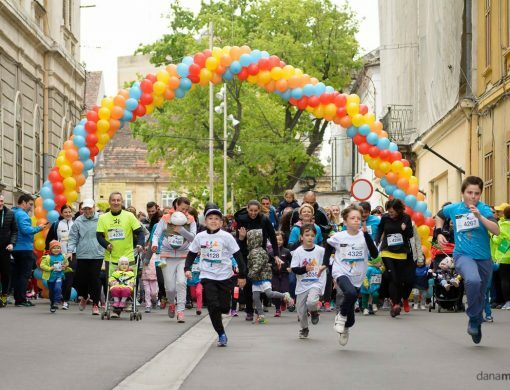 In the port town of Galați, for example, most of the half-marathon’s track sticks to the banks of the Danube – and for the 2018 edition the people here have a whole list of options: a half-marathon, a popular race (up to 3 kilometers), three runs for children and a relay race; in the previous years, they even had a pet run. “We’ve learned that we can change something”, says the executive director of the local community foundation, Cristi Ochiu. “And that we’re not alone: there are tens, hundreds like us” (over 1,600 runners, to be precise, since 2014). 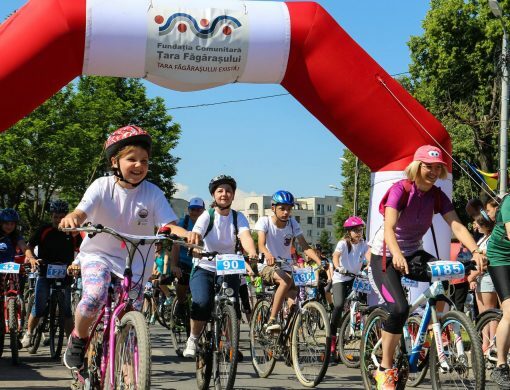 Hundreds of miles away, in Țara Făgărașului, there’s no running, no half-marathon and no marathon: the people of Făgăraș – a string of small mountain communities stretching between two large cities, Brașov and Sibiu – have, instead, an impressive bikeathon. In 2017, over 700 bikers – almost half of them kids – enrolled to raise money for 12 local projects. “How much power can a dust particle have?”, they ask. “First, one dust particle absorbs a water particle. Then, another dust particle absorbs another water particle – and so on. That’s how a healthy cloud is formed. And then other clouds gather. And then it rains. And then the grass starts to grow”. Second, sports events are a glue for the community. They attract local money for local causes from local donors. There are virtually no national causes among those listed in the final tables – and if they sometimes are listed, they’re never the focus. Various vocal NGOs gravitate around these sports events, relationships are built with local authorities, businesses and the media step in, local energies are awakened. Third, they build constituency for the community foundations. The number of those involved – staff, volunteers, competitors, supporters – steadily increases year by year; it’s a trend, if you look at the graphs. 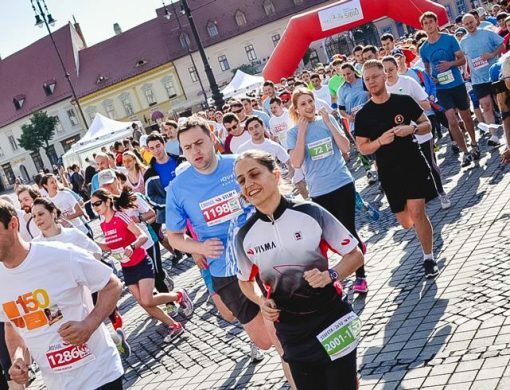 In Sibiu, for example, they have a marathon that grew from a few hundred runners in 2012 to over 3,300 in 2017. 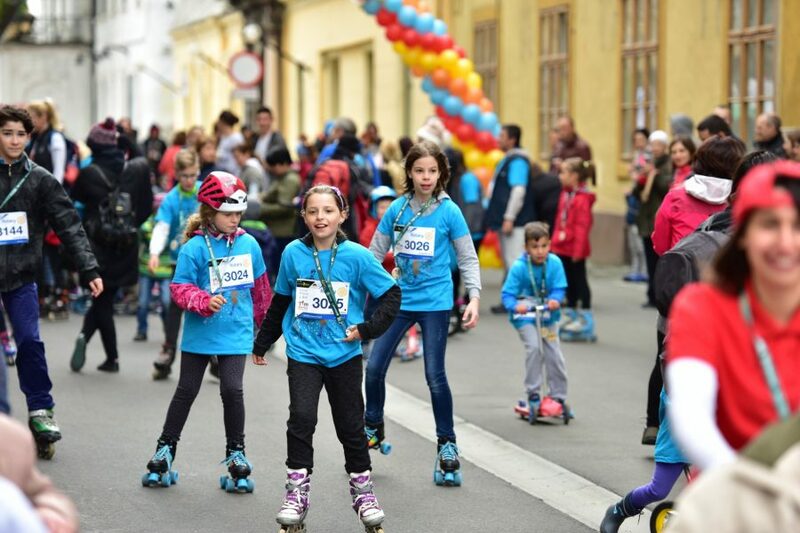 The local authorities co-financed the event, and last year’s financial result was impressive indeed: over 117,000 USD raised in a city with 170,000 inhabitants. Fourth, sporting events have become the foundations’ signature. They’re a great chance for them to spread the word about their mission – and, sometimes, an effective tool to support other projects. 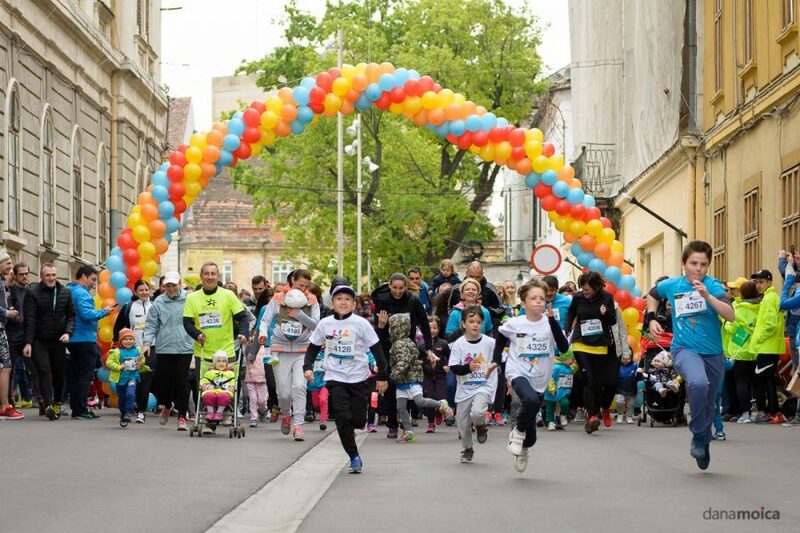 Take the Dâmbovița community foundation for example – one of the newest, officially established in 2015. 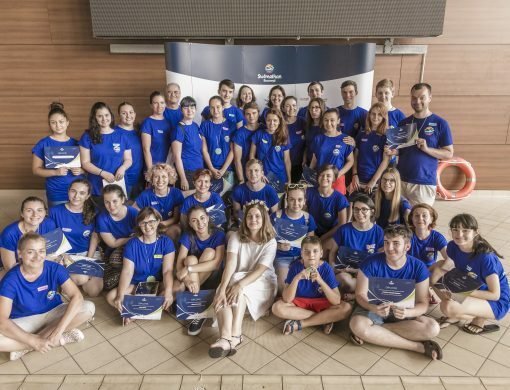 “Only from the field one can influence the result of the game”, the initiators believe, so last year they organized in the town of Târgoviște, the old capital of Walachia, their first swimathon for six local causes – with the generous support of the local authorities. 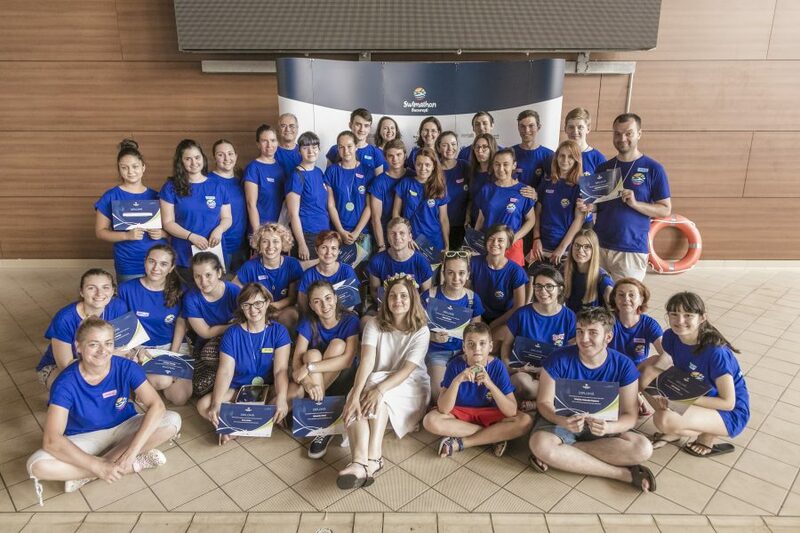 In Iași, the largest city in north-eastern Romania, the community foundation organizes both the traditional swimathon and a so-called “race for schools” that helped raise money for another program, the Științescu Fund; they have already held three editions. Fifth, sports events unleash local creativity. 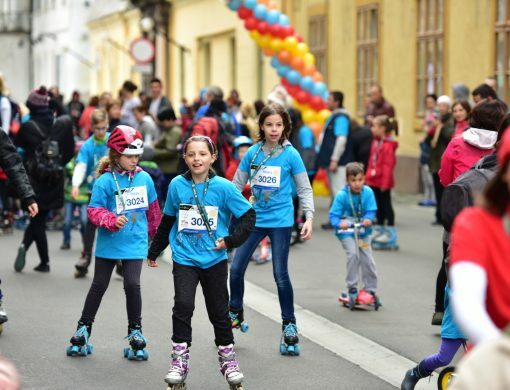 In Timișoara, the community foundation combined various competitions under the brand name Timotion, including one for roller skates and scooters – and they have a whole list of ambassadors, including the Himalayan climber Horia Colibășanu and the seven-time Olympic medalist Simona Amânar. 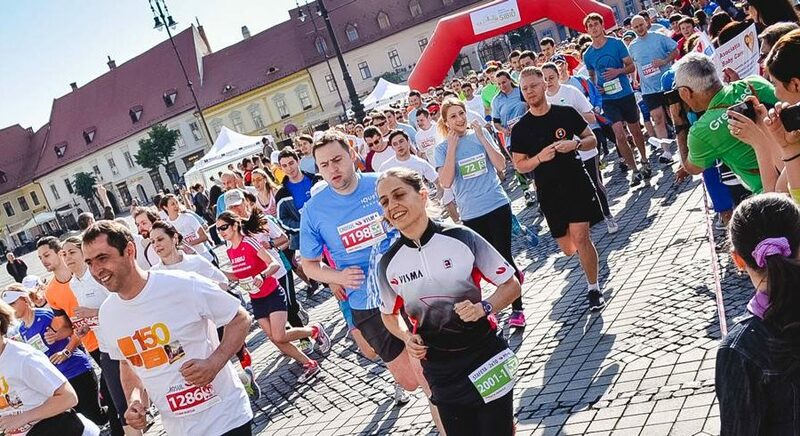 Brașov has an obstacle race and a good hashtag, #eroudebrasov (#brasovhero). 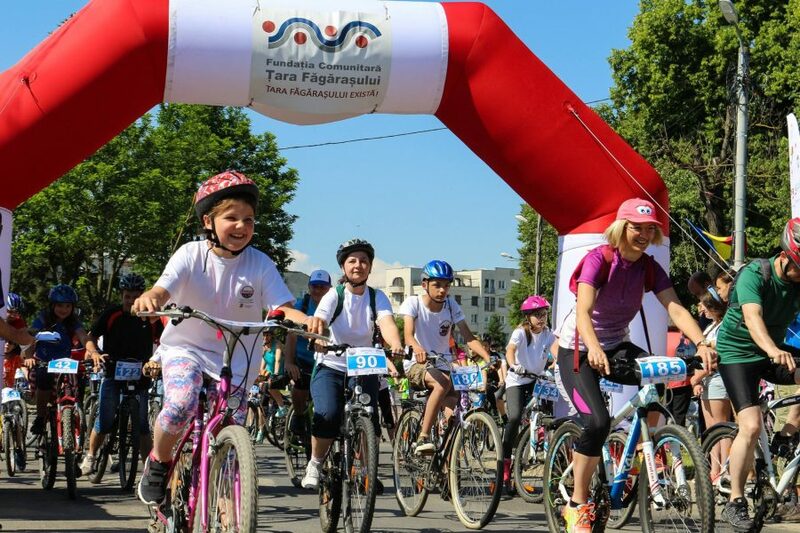 Oradea introduced at the Swimathon a relay competition, Bacău has a special award for the team with “the strongest visual identity”, and in Mureș everybody “bikes for a good cause” – namely for projects promoting “urban cycling”. 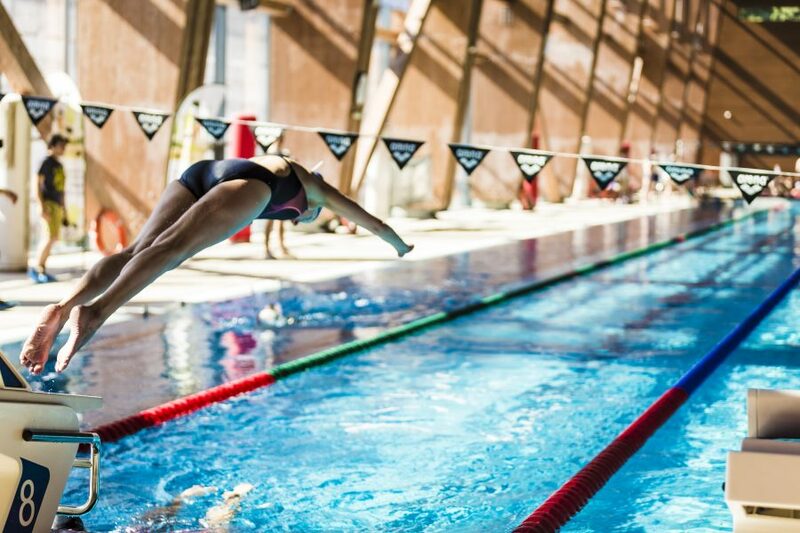 In 2019, it will have been ten years from the first swimathon in Romania – the flap of the wing that started this whole new movement. Tens of thousands of flaps followed. But the truth is there’s no way a butterfly in Brazil can set off a cascade of atmospheric events that spurs the formation of a tornado in Texas, scientists say. The metaphor is used, though, to explain why chaotic systems like the weather can’t be predicted more than few days in advance. Nobody knows every little factor affecting the atmosphere, so nobody can foresee exactly when, where and how a storm will form. Likewise, nobody knows how the access to kindergarten will influence the lives of the 15 kids helped by a boy who made, when he was 5-years old, his first donation for a cause. There’s no one to quantify, over the years, the impact of the tens of thousands of contributions to local causes – or how many lives they will have changed. We all have to settle for the tiny charts counting the volunteers, the amateur athletes, the causes, the donors and the money they raised. The rest is unpredictable, and maybe that’s the whole beauty of the butterfly effect. Marketing and Communication PolyclinicCare to Share?